Hello everyone! I sure have missed regularly blogging these past few months. Between work, getting new pieces prepared for the summer market season, life, and vacation, I just haven’t had much time to dedicate to the Urban DEN blog. I’m thinking about creating a post to share with you some of the wonderful 27 state epic motorcycle tour that I took in June but first I have lots and lots of new furniture to share! It just so happens that the client’s favorite Colorado place is also MY favorite Colorado place. Steamboat Springs! 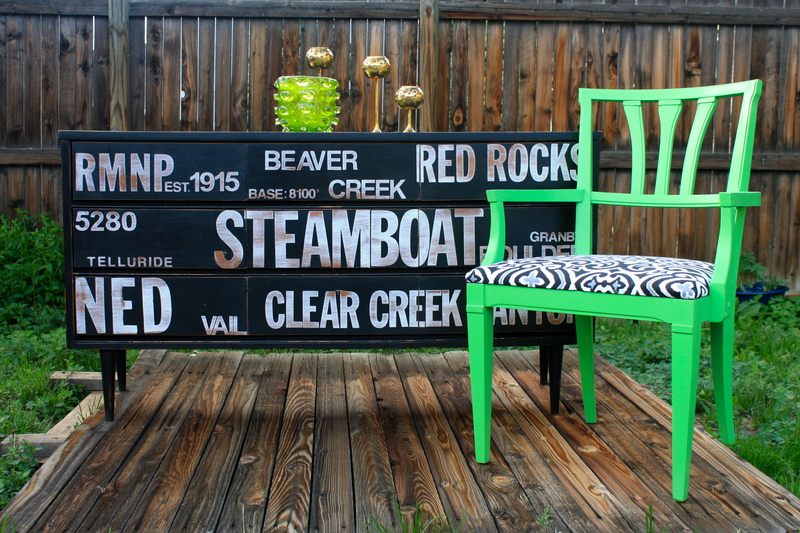 I think Steamboat looks awesome as the focal point of this dresser. 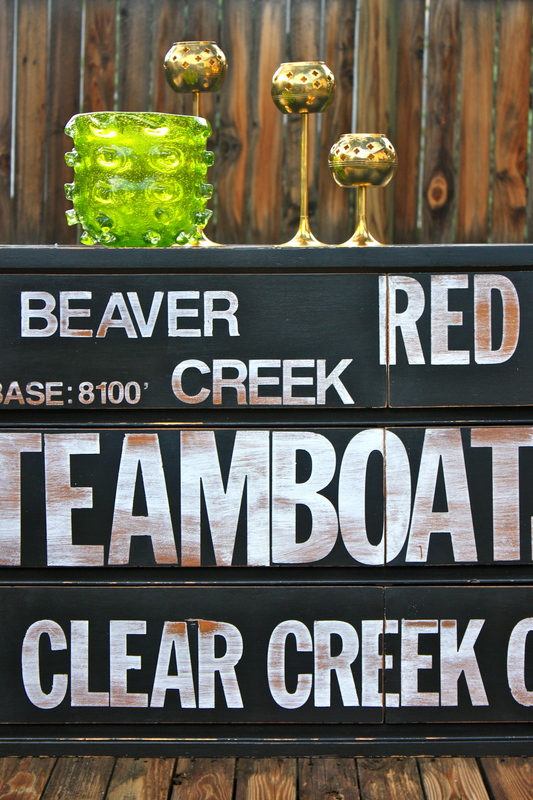 I love how the wood just shows through the distressed white. If you are interested in owning your own customized version of this beautiful dresser, please email me. 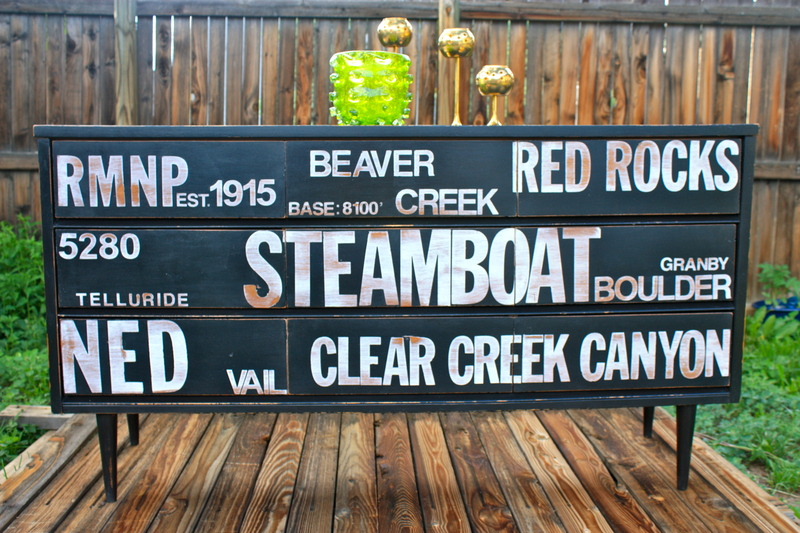 I can make these dressers with any places/words that you would like (that means it doesn’t have to be Colorado specific!) and in any color combination!